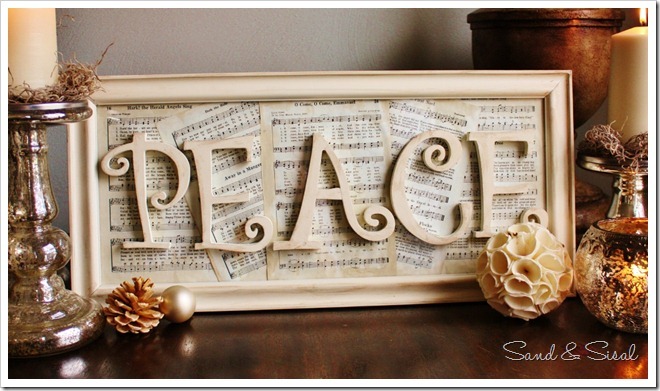 This is a fun way to dress up the dining room during the Holiday Season! I wanted a “seamless” look without looping the ribbon and having a tie or loose ends to deal with. Aleene’s line of Dry Adhesives produts help me achieve the look I wanted! 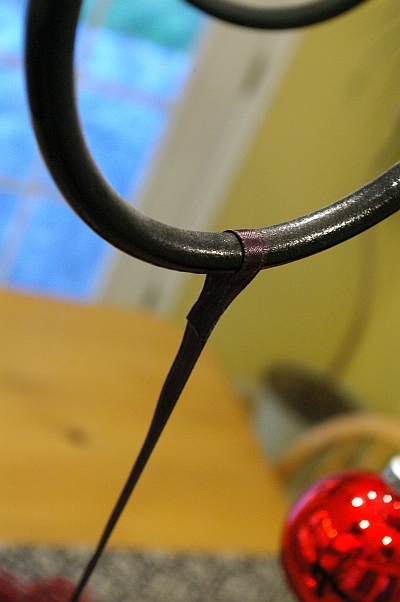 Step 1: Measure and cut your ribbon to the desired length. 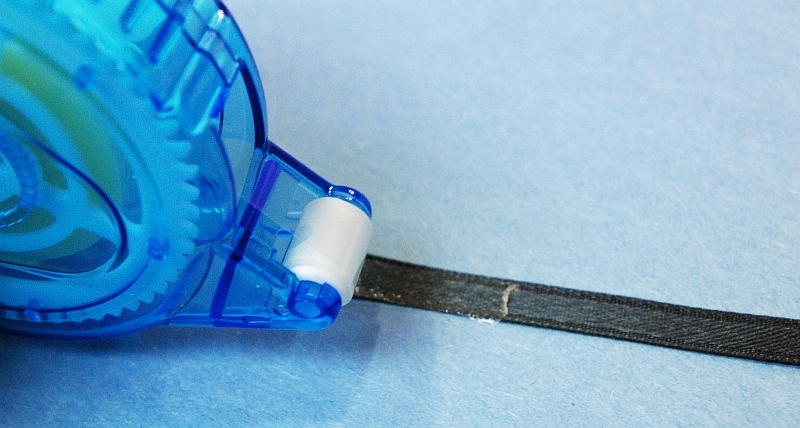 Apply of strip of tape with the Tacky Tape Runner to the end of the ribbon. 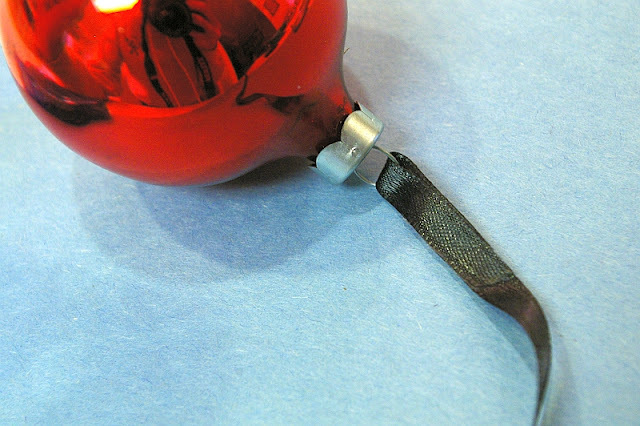 Thread it through the loop on top of the ornament and press the ribbon closed to secure the ornament between the layers of ribbon. 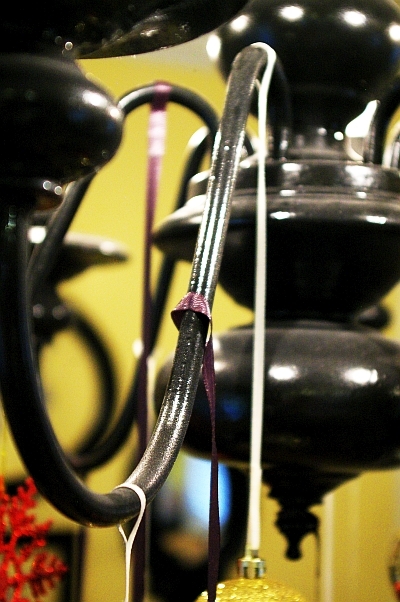 Step 2: Apply tape to the opposite end, hang over the “arm” of the chandelier and press closed to create a loop. Step 3: Repeat as many times as you’d like. 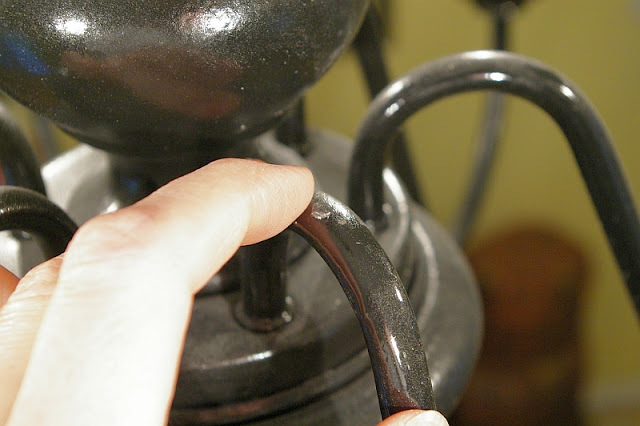 I wanted mine to be more “full” by having the option of hanging ornaments on different places than the crook or bottom of the chandy arm. I used the small Tacky Dots to place on the metal arm, then pressed my ribbon in to and hung an ornament. This worked great!!! 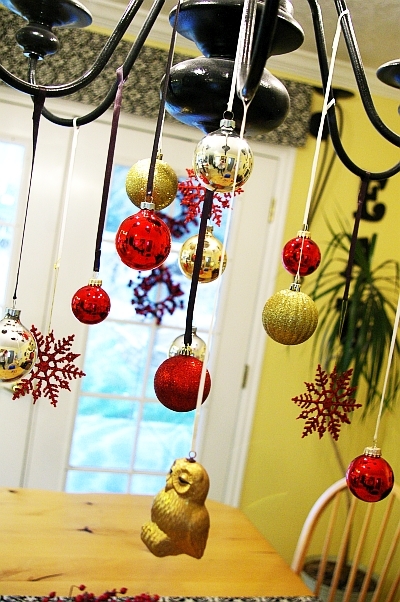 I was able to hang ornaments at all sorts of different angles. 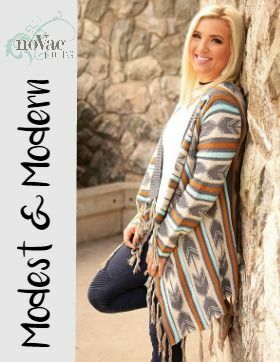 I LOVE the seamless look these products helped me achieve! and YES the tape and sticky dots have held up great! I haven’t had any problems. The strength of the products has been perfect! This post was brought to you by Aleene’s but the opinion and views are 100% mine! See the full disclosure here. 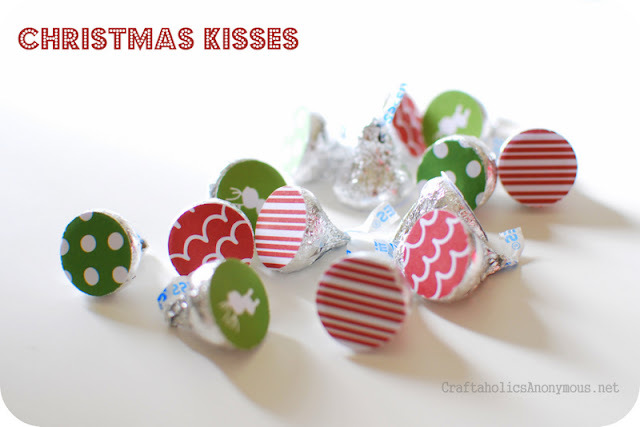 Check out what a few other bloggers created using Aleene’s Dry Adhesives! I love that you use real cloth ribbons! Ah ha!! How simple is that!? Would never have thought of it… thanks so much for sharing — you’ve inspired me for sure! that looks so good. 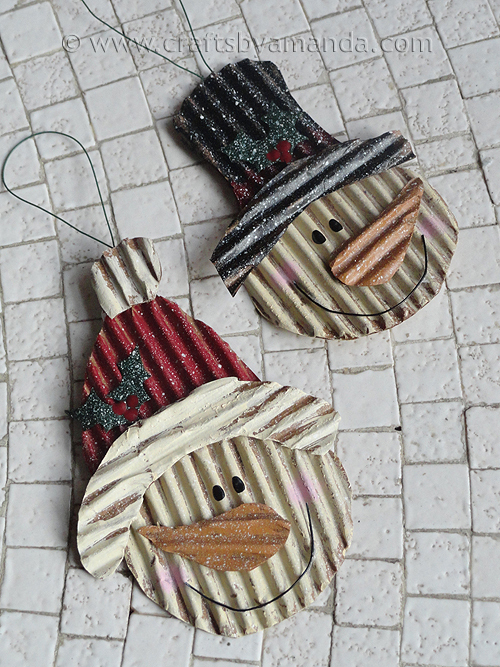 It seems Christmas ornaments look good almost anywhere. 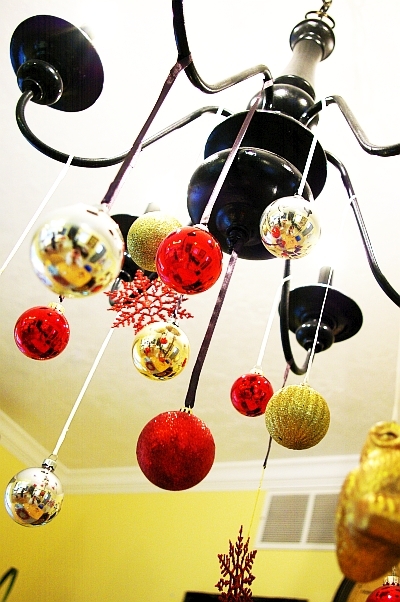 I love that you make your chandelier into a Christmas decoration! Great job – it looks wonderful! So Cute and such a good idea. Nice job! I love your chandelier idea. I have been meaning to do something with ours too. I like the gold mixed with the red and I’m not normally a gold kind of girl! Your chandelier looks great. Thanks, too, for sharing other clever ideas. So pretty. I love this idea.